As a trusted leader in the restoration industry, SERVPRO of Mount Ephraim / Bellmawr provides 24-hour emergency service and is dedicated to being faster to any size disaster whether it is a sump pump failure or to a whole warehouse flooding SERVPRO of Mount Ephraim / Bellmawr is there to help. SERVPRO of Mount Ephraim / Bellmawr specialize in fire, water, storm, mold remediation, and bio-hazard restoration. We can respond immediately to your emergency and have the expertise to handle your restoration or cleaning needs. Since fire or water emergencies don’t work from 9 to 5 neither do we, SERVPRO of Mount Ephraim / Bellmawr is open 24/7 and is here to help with all emergencies. SERVPRO of Mount Ephraim / Bellmawr is locally owned and operated, so we are part of this community too. When you have a cleaning or restoration need, we’re already nearby and ready to help. 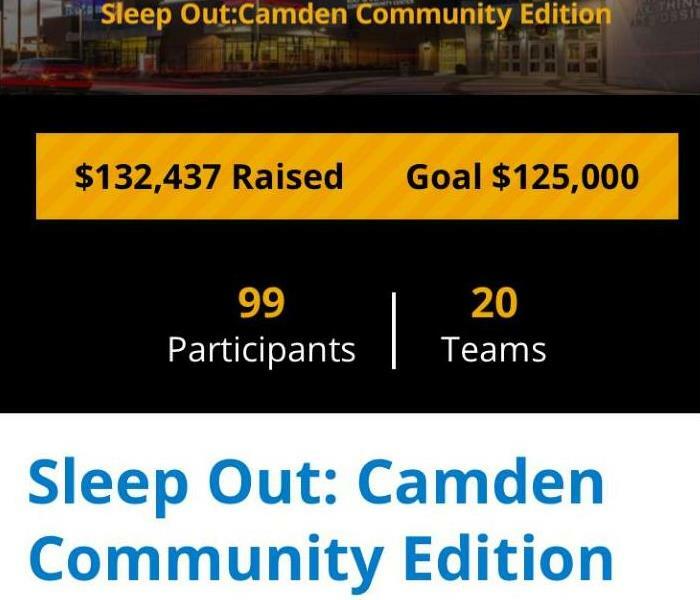 We take pride in being a part of the Camden, NJ community and want to do our part in making it the best it can be.